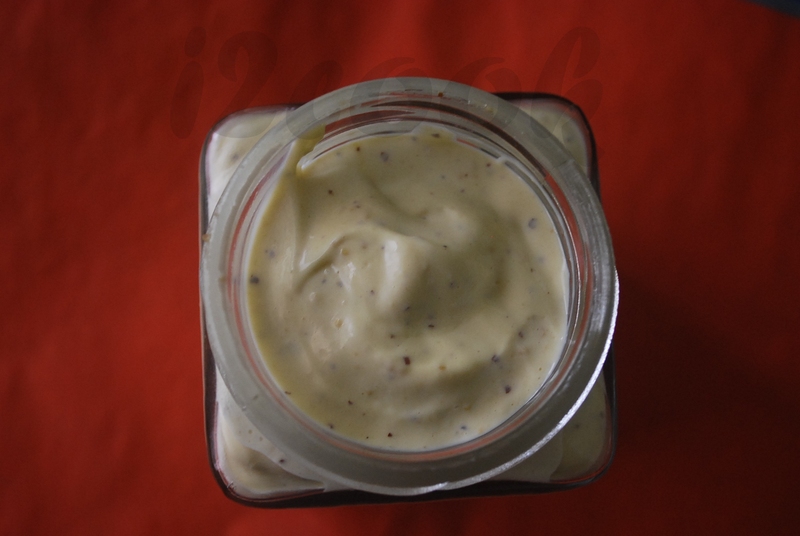 Homemade Mayonnaise has real flavour as opposed to the insipid taste of the jarred version. You can adjust the consistency, depending on what you are using it for. Stiff Mayo is good for serving with deep-fried and grilled food, while a loser mayo can be used as a sauce for seafood or hot or cold veggies. Vegetable oil work best as they are tasteless and can be used for multipurpose mayo. Olive oil or any nut oil can be used to make more distinctively flavoured mayo. Most mayo, can be made by hand or in a blender, but mayo made with olive oil should be made in mortar pestle by hand, because the aggressive action of the blender or even a whisk, may compromise the flavour of the oil and may turn slightly bitter. Combine the eggs, mustard, vinegar in a blender. With the blender on the lowest speed, pour oil in a slow but steady stream through the opening in the top of the blender, blending until the mayo stiffens. Season to taste with salt and pepper. Mayo may break – that is the oil may separate out of emulsion and the mayo may turn loose and grainy( if the oil is added too fast at the beginning or the mayo is too stiff). If its stiff – just add water, vinegar and blend well. If the mayo breaks – just rework the broken mayo into another egg in a second bowl. Plain mayo can be flavoured to create innumerable variations, by adding dry or fresh herb/herbs or by adding capers or finely chopped gherkins. You could also colour the mayo orange by adding saffron. A lot of us wonder or are confused about what does cage-free birds or free-range eggs mean? Last month there was an interesting article on cage-free birds in BBC Good Food, India in which it mentioned that, the cage-free birds are not cooped up in a cage unlike the commercial ones. In the commercial ones, the cages are placed in a row and stacked several tiers high. The cages are so cramped up that the living space is less than an A4 size paper. On the other hand, cage-free birds are not kept in cages and are allowed open access to the outdoors. In rural setting, birds are allowed to forage in the backyard and in urban one they are allowed to roam freely within a large compound. Free-range eggs are more expensive than the commercially available eggs. The well known brand, Keggs, based in Delhi, costs 55/- for half a dozen which is nearly triple the price. These eggs are at a premium cost since the egg production is not predictable and it is difficult to monitor how much feed each bird consumes. So at this rate the bird may lay an egg only once every two days. There has been no scientific evidence to suggest that these eggs are more nutritious than regular eggs. Consuming free-range eggs is more of a conscience call. In Mumbai, you can buy free-range eggs from Foodhall, at Palladium Mall, Nature’s Basket outlets and I’ve also spotted them at Jude’s Cold Storage, Bandra. You can also check with your local chicken shop if they could arrange for some locally. 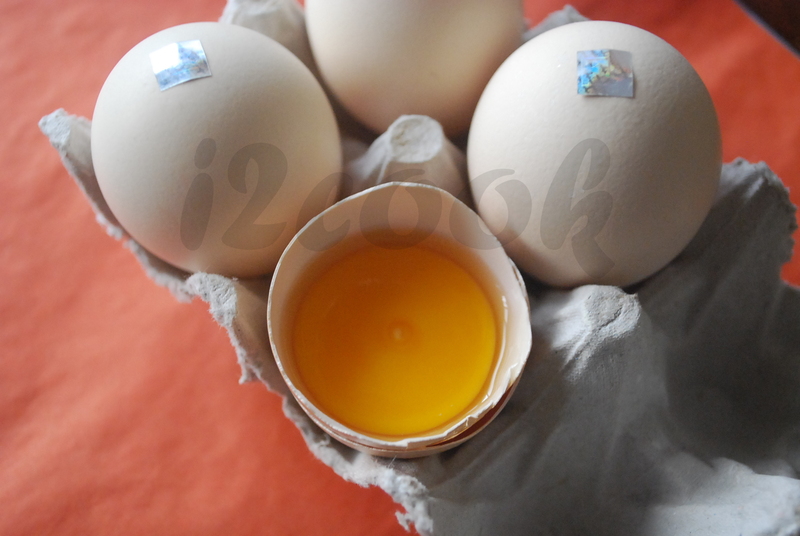 Categories: Healthy Recipes | Tags: cage-free birds, free-range eggs, i2cook mustard, mayo, mayonnaise | Permalink. I called up Foodhall & Nature basket – They do not stock ‘Desi Eggs’ – They stock organic eggs which are not the same as desi eggs…. Hi Arjun, you will have to check with your local chicken shop, who sells gauti or desi chicken. He should be able to get some for you.